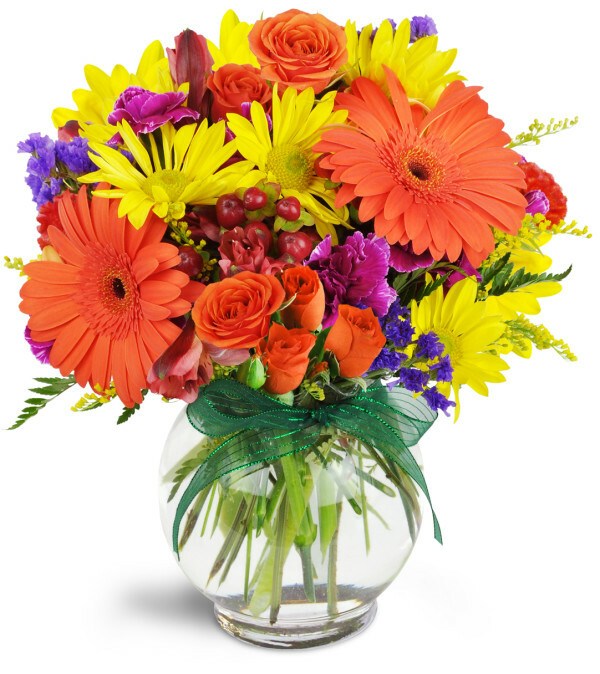 Bask in a warm sunny day with our vibrant bouquet of blooms! 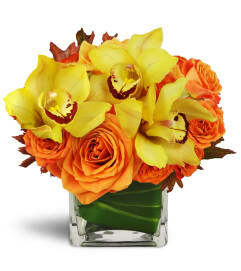 Bright orange and yellow hues are contrasted with hints of deep purple - a winning combination for that special day! 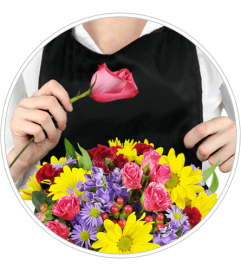 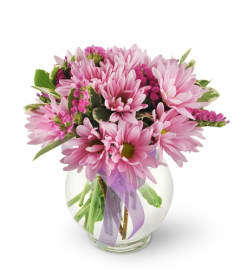 Gerbera daisies, miniature carnations, and spray roses are featured in this delightful treat!